Many people forget that their hands often show the tell-tale signs of age and years of excessive sun exposure. 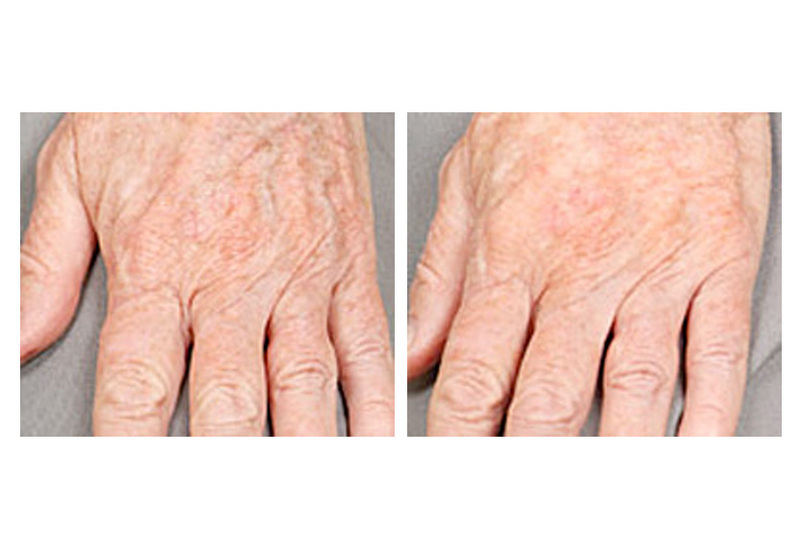 Whether it is brown spots ("liver spots"), crepey skin texture or prominent veins and general skin laxity, the hands may give away your true age especially when other parts of your skin have been treated or protected from repeated sun exposure. There are a variety of treatment modalities that may improve the appearance of the hands with little downtime and very little discomfort. The easiest treatment involves the alexandrite laser to remove any unwanted pigmentation or brown, "age" spots. These are often removed in as few as one or two treatments leaving the skin with a more uniform, unblemished appearance. Patients love the results of this laser - as it is fast, simple, and relatively pain free. 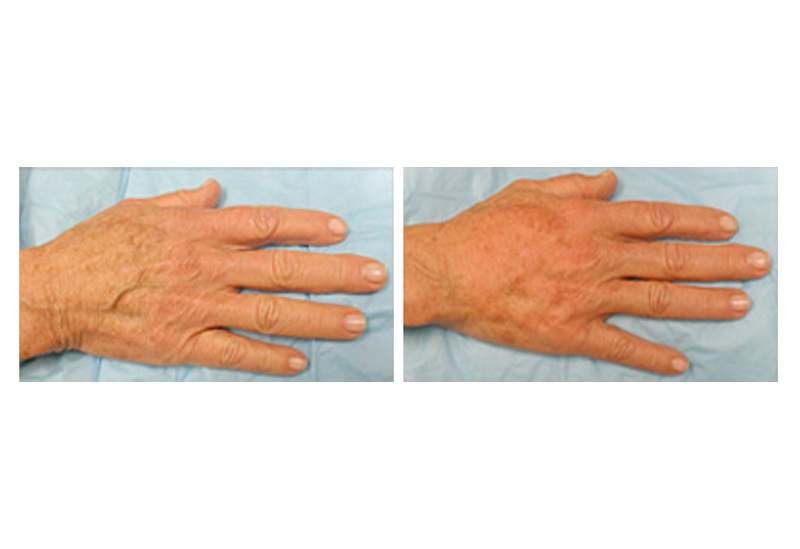 Other treatment options for the hands include filler injections, such as Radiesse, to improve skin tone and laxity and reduce the appearance of prominent veins on the backs of the hands. These injections are very simple and offer immediate improvement with only mild redness and transient swelling immediately after treatment. 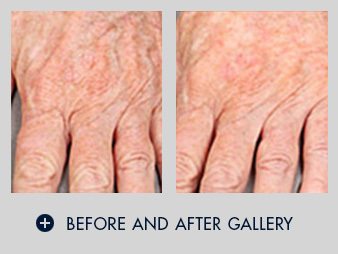 These treatments are relatively long lasting and impart a more supple and youthful appearance to the hands.